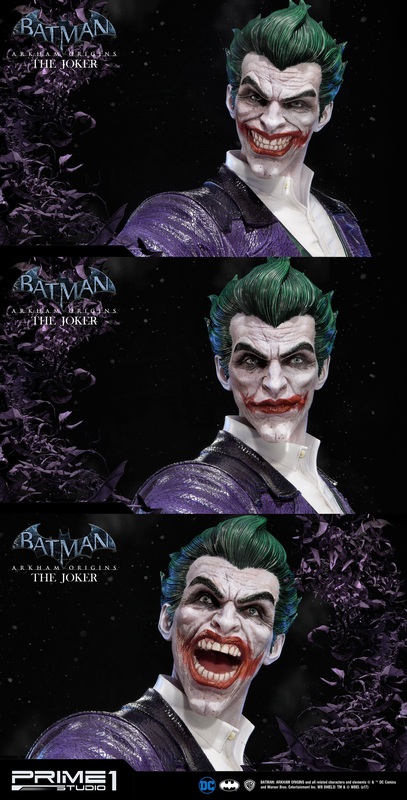 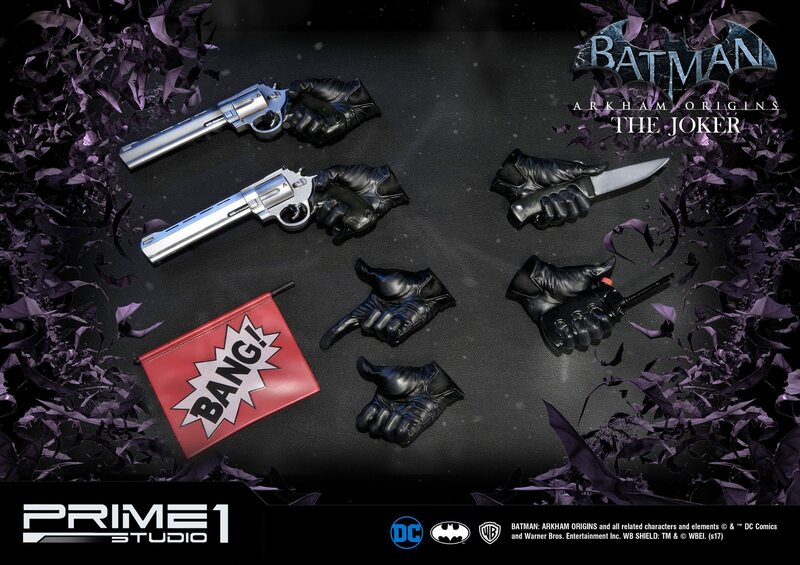 Sideshow and Prime 1 Studio are proud to present The Joker from Batman: Arkham Origins. 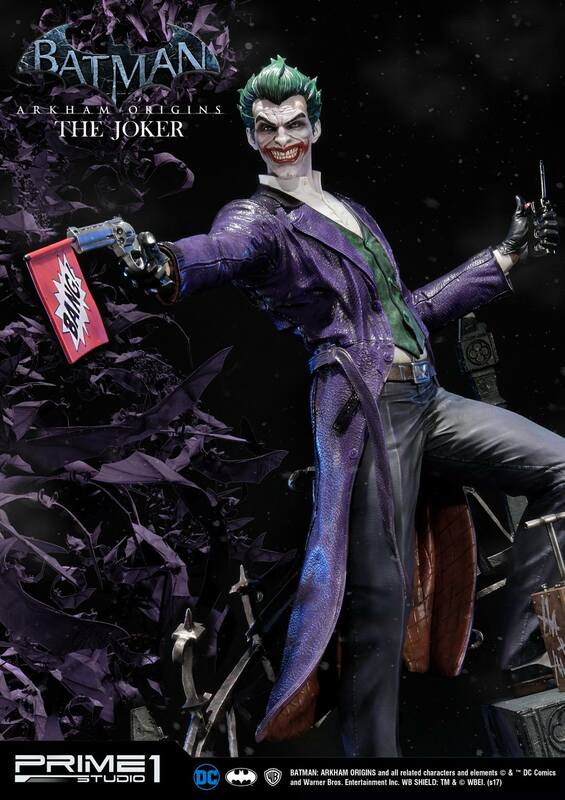 The Joker was an insane, homicidal supervillain, and the arch nemesis of Batman. 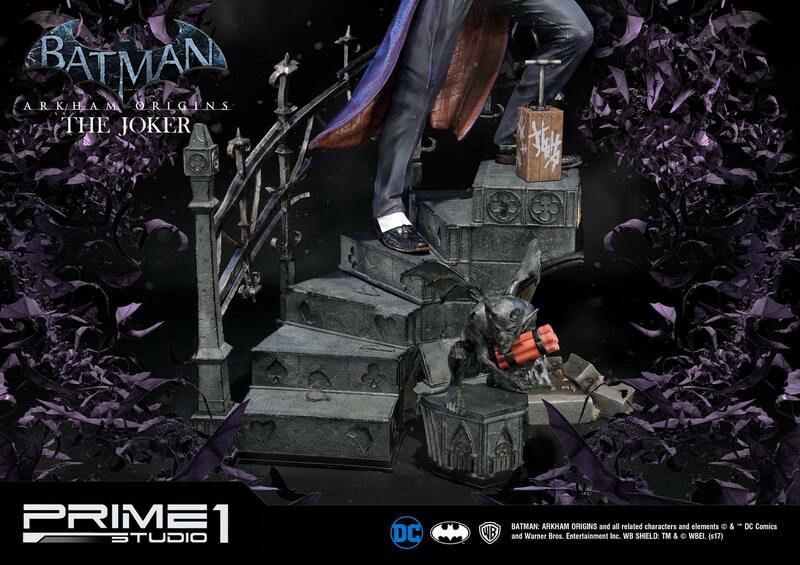 His white skin, green hair and blood red lips belied the chaotic nature that underlay his cartoonish appearance. 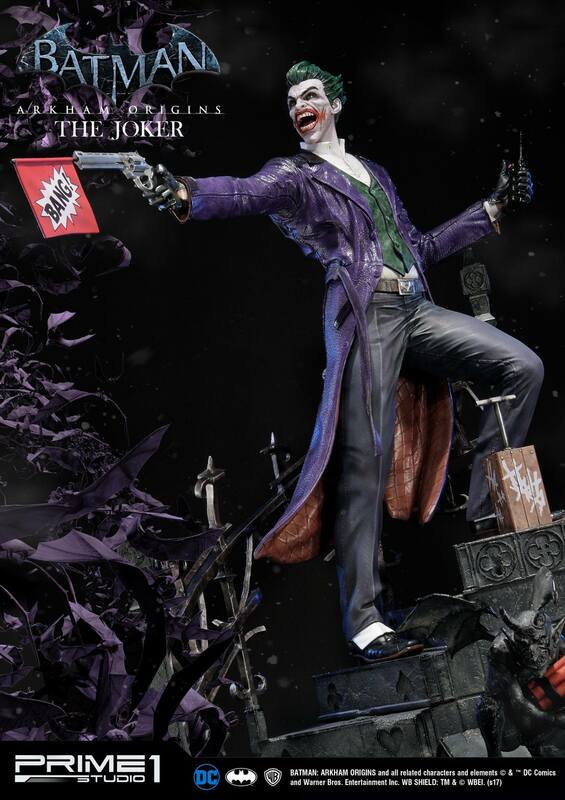 The extremely intelligent self-styled "Clown Prince of Crime" had no superpowers beyond a capacity for incredible violence and a skill at creating deadly mayhem, and frequently concocted elaborate schemes to entrap his nemesis. 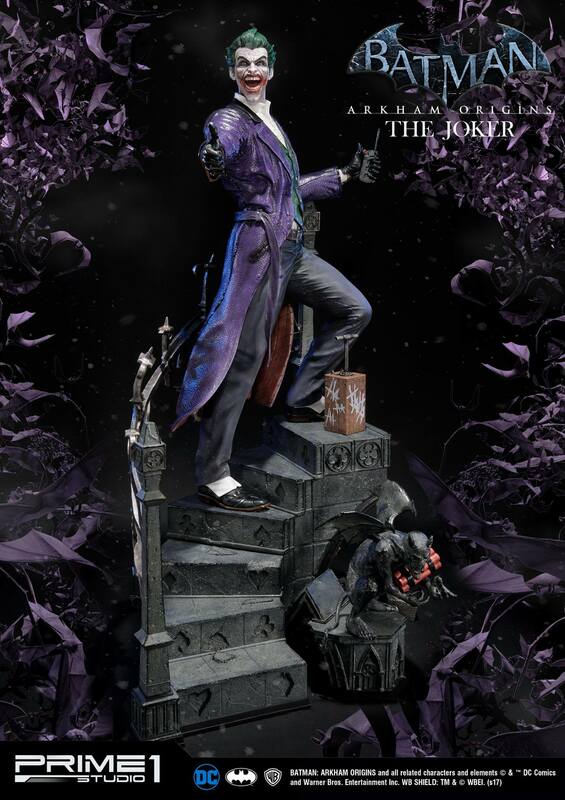 He serves as the main antagonist of Arkham Origins and Arkham Asylum, is one of the main antagonists of Arkham City, is one of the prominent antagonists of Arkham Knight, and can be considered the central antagonist of the Arkham series overall.